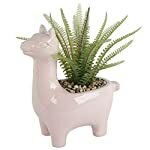 Decorate your house or place of work with our charming Blue Ceramic Llama Lavender Planter. Handmade by Artisans the use of superior ceramic Subject material, this Llama planter give a clean and elegant feel to any tabletop, entry means, or window sill. Fabricated from Ceramic and Blue paint, these 7.5″ x 4.5″ x 10″ indoor planters will add a bit of of charm on your living house. Fake Lavender included, so you never have to fret about watering real plants again! Good looks with out the pain of taking care of real plants. We all the time attempt to make your life more uncomplicated so you that you’ll have more time for the vital things in life. Buy a couple of at a time, so you’ll get started your personal little Indoor Garden! 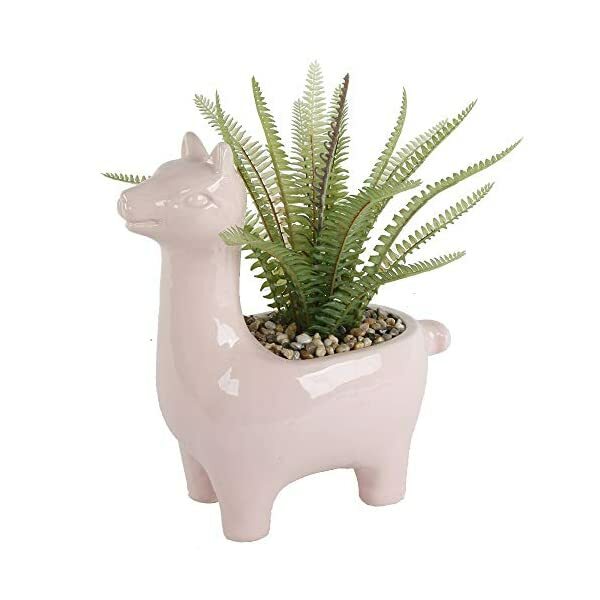 Both Adults and Youngsters go Wild for these adorable and a laugh Llama planters! (Handmade by Artisans; Subject material: Ceramic, Plastic; Size: 7.5″ x 4.5″ x 10″; Color: Blue, Green, Purple.) ** No drainage hole, for Indoor use Most effective.